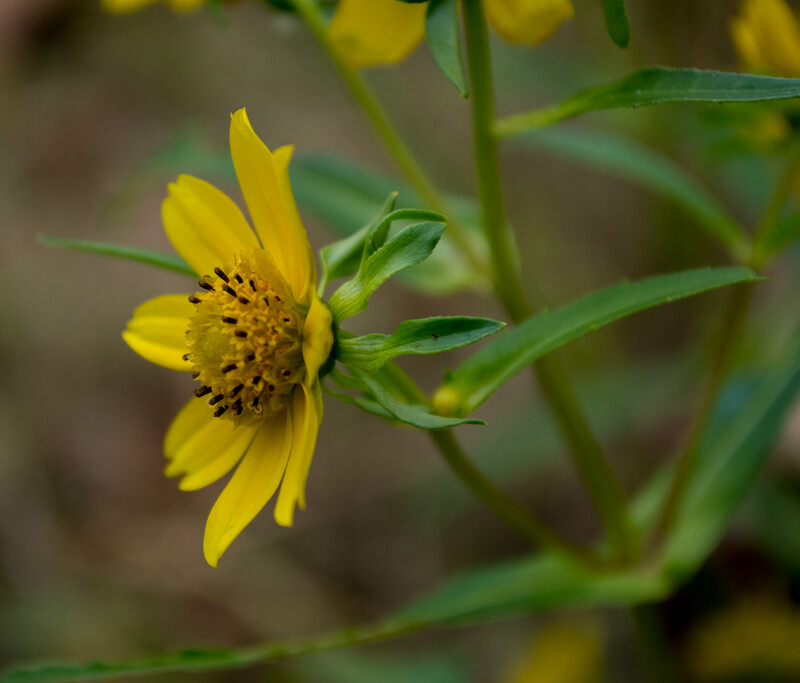 I found this annual plant along the sandy, exposed bed of the river when it was running very low, in mid-September. 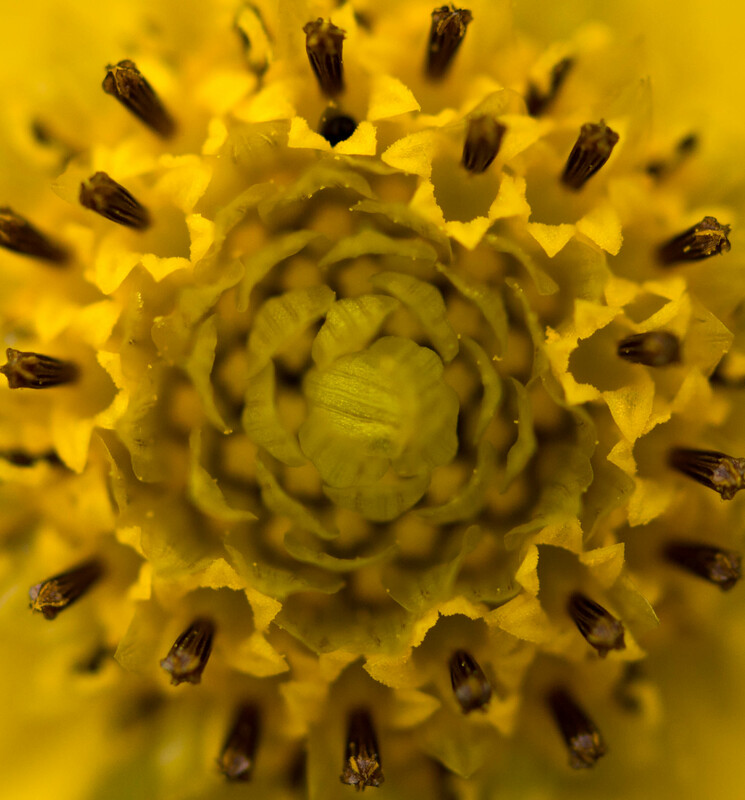 Although bur marigold likes really wet soils, it is not considered an emergent aquatic. It can be found through most of the US and Canada, except for a few states in the south. Some authorities consider it weedy. The more I see of composites, there more fascinated I am by them. Here’s a close up of the disk flowers. By the way, it’s possible I’ve mis-identified this one. 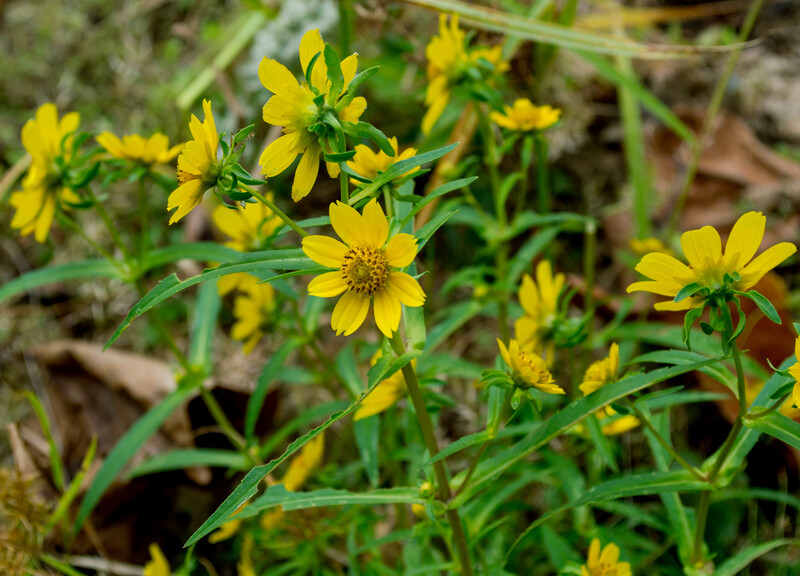 There’s another, almost identical species called smooth bur marigold (Bidens laevis); I spent a long time poring over details on the fantastic New England Wild Flower Society and John Hilty’s Illinois Wildflowers websites. These have become my go-tos whenever the books fail me. 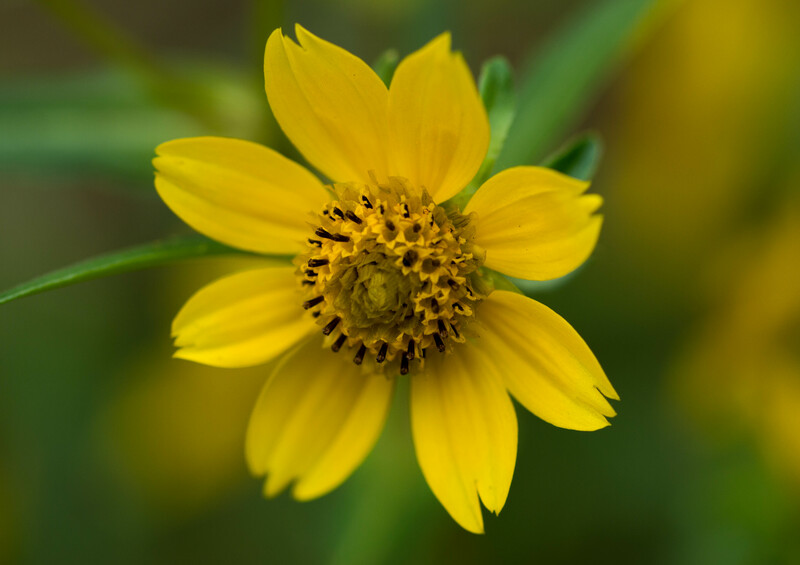 This entry was posted in Uncategorized and tagged aster family, beggarticks, Bidens, bur marigold by elizabeth. Bookmark the permalink.